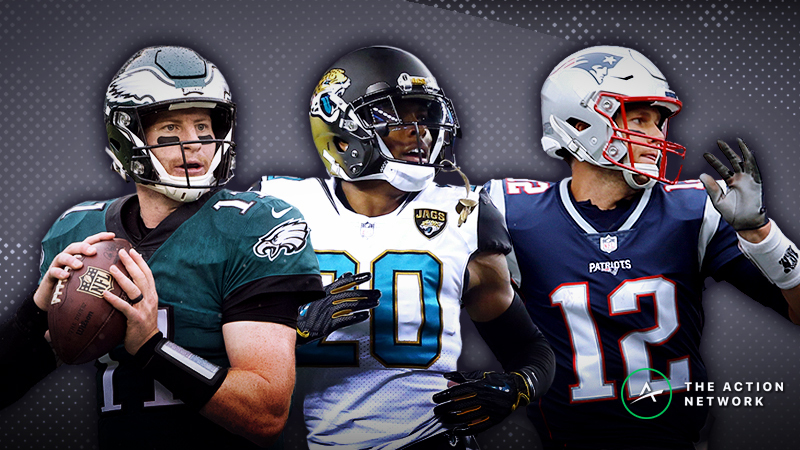 The 2018 NFL season is still on pace for a record-breaking campaign with an average of 24.2 points per game per team. The action continues with a 10-game main slate that kicks off on Sunday at 1 p.m. ET. In this positional breakdown, I’m looking at three quarterbacks at the top of the individual Pro Models that Jonathan Bales, Peter Jennings (CSURAM88), Adam Levitan, Sean Koerner, Chris Raybon, Kevin McClelland (SportsGeek) and I have constructed. UPDATE (11/25): Center Ryan Kelly (knee) is out, as are tight ends Mo Alie Cox (calf), Erik Swoope (knee) and Ryan Hewitt (ankle), so the Colts will have to wait another week before rolling out their five-tight end set. 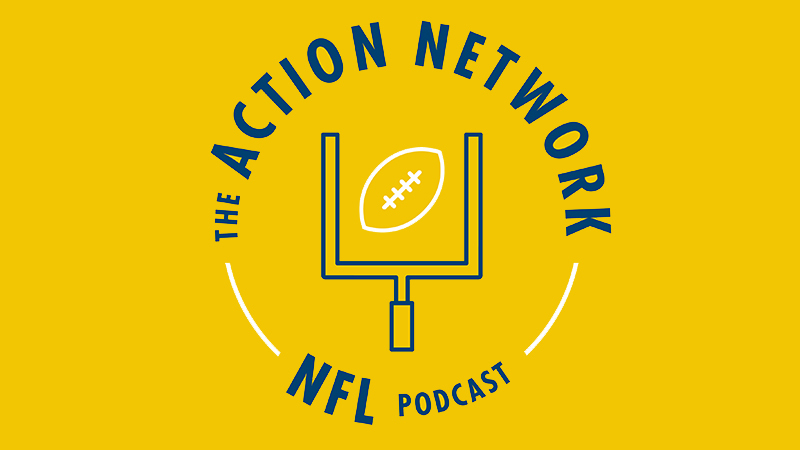 On the Wednesday edition of The Action Network NFL Podcast, we discussed Luck as a strong cash-game option for the slate. Despite missing wide receiver T.Y. Hilton and tight end Jack Doyle for significant stretches and working with a mostly no-name assemblage of skill-position players, Luck is the No. 5 fantasy quarterback with 23.9 DraftKings points per game and trails only Chiefs quarterback Patrick Mahomes with a 80% Consistency Rating. In every healthy season since his rookie campaign, Luck has been a top-five fantasy passer. And aside from Mahomes and Deshaun Watson — neither of whom has played a full season — Luck has a position-high 23.6 DraftKings points per game since 2014. Even though Luck missed the entire 2017 season, the Colts have not been shy with their quarterback. While there was speculation before the season that the Colts would attempt to limit Luck’s usage, he’s third in the league with 400 pass attempts. When Luck was replaced by Jacoby Brissett in Week 3 so the backup could throw an end-of-game Hail Mary, internet punditry branded Luck a weak-armed has-been. In the seven games since then, Luck has passed for three-plus touchdowns in each start. The only quarterbacks in NFL history with longer such streaks are Tom Brady (10 games, 2007) and Peyton Manning (eight, 2004). Luck is in elite form right now. What’s notable about Luck is that, as the season has progressed, he’s shown more of a willingness to test his arm strength. In Weeks 1-3, he had a league-low 5.6 yard average depth of target (aDOT), but in the two months since then, he’s had an 8.7 aDOT, just behind Mahomes (8.8). While Luck hasn’t been efficient with his passes — he’s dwelling in the league’s basement with the likes of Josh Rosen, Sam Darnold, Joe Flacco and Alex Smith with his 6.9 yards per attempt — Luck has produced in the red zone, ranking second with 23 touchdowns and third with 70 attempts inside the 20-yard line. Additionally, he’s first in the league with 34 targets to the end zone and 17 touchdowns on such targets. Nine interceptions aside, Luck is making the most of his passes. Luck has a good matchup against the Dolphins. 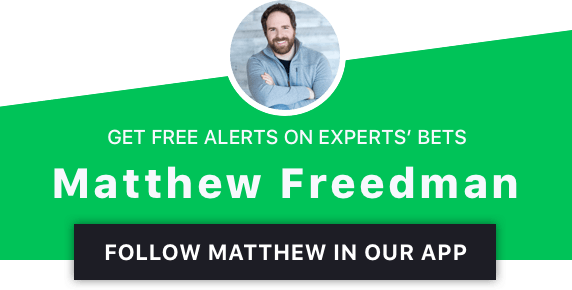 All quarterbacks to face them in 2018 other than the first-year Sam Darnold and injured Marcus Mariota have averaged 21.6 DraftKings points per game. Even with emerging cornerback Xavien Howard, the Dolphins are 26th in the league with a Pro Football Focus (PFF) coverage grade of 65.2. Playing alongside Howard, cornerbacks Bobby McCain and Torry McTyer have seen significant action. McCain is a 2015 fifth-rounder who started on only a part-time basis before this season. McTyer is a 2017 undrafted signee who saw only limited action last season. Neither has a coverage grade of even 58, and collectively they have allowed a 73.8% completion rate and 642 yards passing on 61 targets. Even with do-it-all first-round rookie Minkah Fitzpatrick lining up all over the field as a box defender, free safety, slot corner and most recently right corner, the Dolphins have an exploitable defense, especially since they generate almost no pass rush: The Dolphins rank 29th in the league with a mark of 4.8% in Football Outsiders’ adjusted sack rate. Meanwhile, the Colts offense ranks third with an adjusted sack rate allowed of 4.2%, and since the return of left tackle Anthony Castonzo in Week 6, they haven’t allowed a single sack. Since Week 4, the only opponents not to score 27-plus points against the Dolphins have been the hapless Jets, and the Colts have a slate-high implied Vegas total of 29.25 points. On top of that, they have the week’s most advantageous matchup in situation-neutral pace. As home favorites playing indoors in late November, the Colts have the potential to put up a lot of points. If you roster Luck in guaranteed prize pools, you might want to use our Lineup Builder to stack Luck with Doyle. Since 2014, quarterbacks on average have had a 0.48 correlation with their No. 1 tight ends, but Luck and Doyle have a 0.61 correlation. Luck has a position-high 11 Pro Trends on DraftKings, where he’s the No. 1 quarterback in the Koerner, SportsGeek and Freedman Models. UPDATE (11/25): Wide receiver Devin Funchess (back) is doubtful after missing practice all week. Wide receiver Torrey Smith (knee) is questionable. Seahawks linebacker K.J. Wright (knee) is out. While there were worries at the start of the season about how well offensive coordinator Norv Turner would be able to adapt his Air Coryell system to Newton, the 2015 MVP has career-best numbers with his 68.4% completion rate, 1.8% interception rate and 5.7% sack rate. Newton has the players around him to succeed. In his five healthy seasons, he’s been a top-four fantasy quarterback. After an embarrassing 52-21 Week 10 loss on Monday Night Football, Newton bounced back in Week 11 with his best passing performance of the season: A 357-yard, three-touchdown aerial smackdown of the Lions. Newton has had fewer than 18 DraftKings points in a game this season only once. What’s perhaps most amazing about Newton’s performance is how he’s been able to overcome the roster issues around him. Continuity is crucial along the offensive line, and three of last season’s starters are not on the field: Left tackle Matt Kalil (knee, injured reserve) was sidelined before the regular season, right tackle Daryl Williams (knee, IR) has missed every game but one, and 2017 All-Pro left guard Andrew Norwell is on the Jaguars. Even so, Newton is having one of the best campaigns of his career. Unsurprisingly, a large portion of Newton’s value comes from his rushing production. On a per-game basis, he leads all quarterbacks with 4.6 expected fantasy points as a runner (per the RotoViz Screener). Tied for first on the team with four rushing touchdowns and second with 77 carries and 354 yards on the ground, Newton is basically his own short-yardage back. He’s first among all quarterbacks in league history with 58 rushing touchdowns and second to only Michael Vick with 39.3 yards rushing per game. Newton is viable in almost any game environment because of his running ability. But Newton doesn’t have a great matchup this week. The Seahawks are ninth in pass defense with a -2.3% mark in Football Outsiders’ DVOA, and they’ve held quarterbacks to a bottom-eight mark of 17.9 DraftKings points per game. But since their Week 7 bye, the Seahawks have been decidedly mediocre, allowing 21.0 DraftKings points per game to quarterbacks and two-plus passing touchdowns in each week. After throwing for just 161 yards and zero scores in Week 1, Newton has passed for multiple touchdowns in each game. On Sunday morning, I might look to bet the over on Newton’s rushing yardage prop. Newton has 30-plus yards rushing in seven of 10 games this season, and the Seahawks will likely be without linebacker K.J. Wright (knee), who missed Week 11 with a nagging injury that cost him the first six games of the season. To find the best bets in the props market, use our Player Props Tool, which is powered by our industry-leading projections. Since Week 1, the props with a bet quality of 10 (out of 10) have gone 188-89-8, good for a 66% win rate. Newton has a position-high 99% Bargain Rating on FanDuel and is the No. 1 quarterback on DraftKings in the Bales, CSURAM88 and Raybon Models. UPDATE (11/25): Right tackle Demar Dotson (knee, shoulder) is in. Center Ryan Jensen (knee, shoulder) is questionable after a limited practice on Friday. Wide receiver DeSean Jackson (thumb) is questionable but expected to play after a full Friday practice. Running back Ronald Jones (hamstring) is officially questionable but likely to play after practicing in full all week. 49ers linebacker Reuben Foster (arrested, domestic violence) was taken into custody on Saturday night and seems unlikely to play on Sunday. The quarterback carousel has come back around to Winston, who has probably the league’s best collection of pass-catching talent in wide receivers Mike Evans, DeSean Jackson, Chris Godwin and Adam Humphries and tight end Cameron Brate. As a team, the Bucs are first with 4,585 scrimmage yards, 3,610 net passing yards and 264 first downs, second with 411 pass attempts, third with 25 passing touchdowns and fourth with 6.7 yards per play. Of course, they’re also dead last in the league with 23 interceptions, 29 turnovers and a 24.4% turnover rate on a per-drive basis. A large part of that is because of Winston, who has 11 interceptions and five fumbles in just five games, only three of which were starts. Since Winston entered the league in 2015, he’s tied with Blake Bortles for a league-high 55 interceptions — but Winston has played in eight fewer games. It’s hard to trust Winston because of head coach Dirk Koetter’s mid-game propensity to switch quarterbacks, but for this game at least, Winston seems like a safe play. The Bucs-49ers game has a high pass funnel rating as well as the slate’s highest over/under, and Winston has a great matchup. Although the 49ers have cornerback Richard Sherman, who is cementing his Hall-of-Fame case with an age-30 shutdown season after rupturing his Achilles in 2017, the team is last in the league with a PFF coverage grade of 42.0. Sherman has held quarterbacks to 153 scoreless-yards and a completion rate of just 45.8% on 24 targets and 316 coverage snaps. Playing almost exclusively at left corner, Sherman is locking down his side of the field. As a result, quarterbacks have wisely avoided his coverage and instead pivoted to his teammates, who are imminently exploitable. Cornerbacks Ahkello Witherspoon and K’Waun Williams have allowed a 64.2% completion rate. Safeties Jimmie Ward, Jaquiski Tartt, Adrian Colbert, Antone Exum, D.J. Reed and Tyvis Powell have allowed 72% completion rate. Linebackers Reuben Foster, Fred Warner and Elijah Lee have allowed a 69.3% completion rate. Against such a defense, Winston should be able to complete enough passes (and avoid enough interceptions) to provide value. Sherman won’t shadow Evans, so Winston will be free to target his No. 1 receiver with reckless abandon whenever Evans is in anyone else’s coverage. Winston has an average of 22.6 FanDuel points per game in his three starts even though he benched late in Week 8. He has plenty of upside. 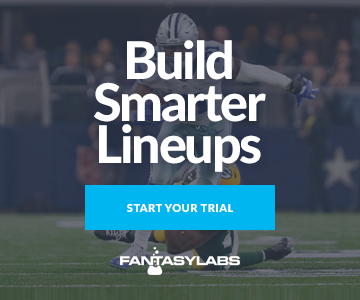 Thanks to their magnificent combination of high-scoring offense (26.7 points per game) and stone-worst defense (32.9 points per game allowed), the Bucs have an 8-2 over/under record this season, which is the best mark in the league for over bettors (per Bet Labs). I’m betting this game makes it nine. Winston has position-high median and ceiling projections and a 99% Bargain Rating on DraftKings and is the unanimous No. 1 quarterback on FanDuel in all our Pro Models. Be sure to read the other Week 12 positional breakdowns.